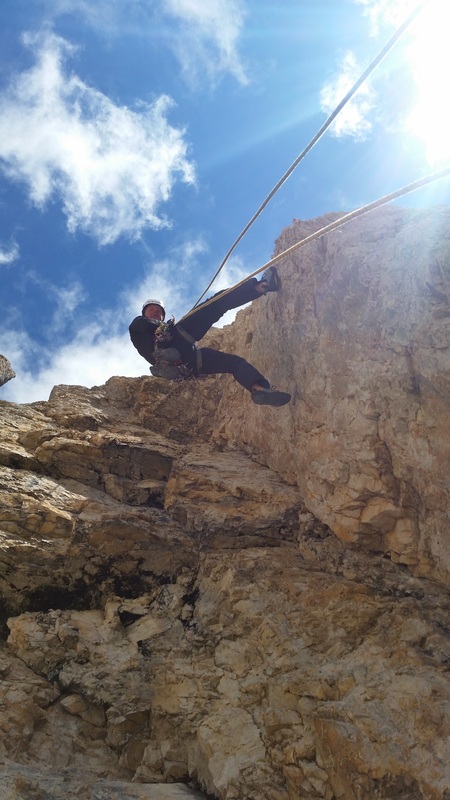 As part of its role Exeter UOTC is tasked with organising high quality and demanding Adventurous Training for the Cadets. This should deliver foundation qualifications but also give the Cadets exposure to just how demanding AT can be and how it can be used to develop personal qualities and teamwork. 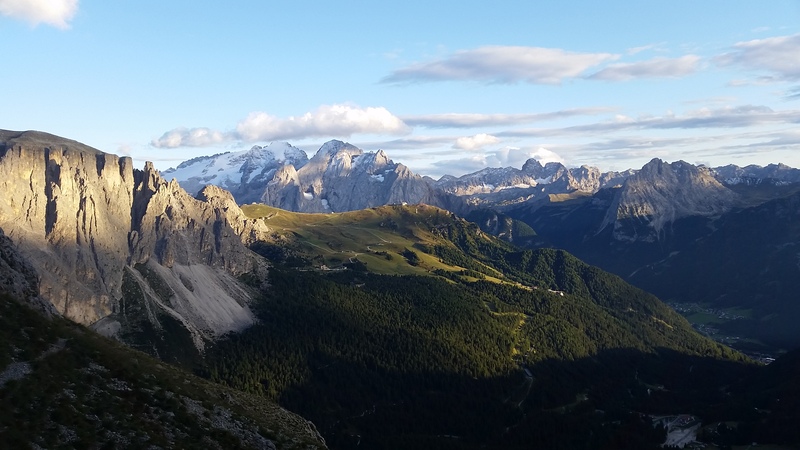 The Dolomite mountains of northern Italy are ideal for this. 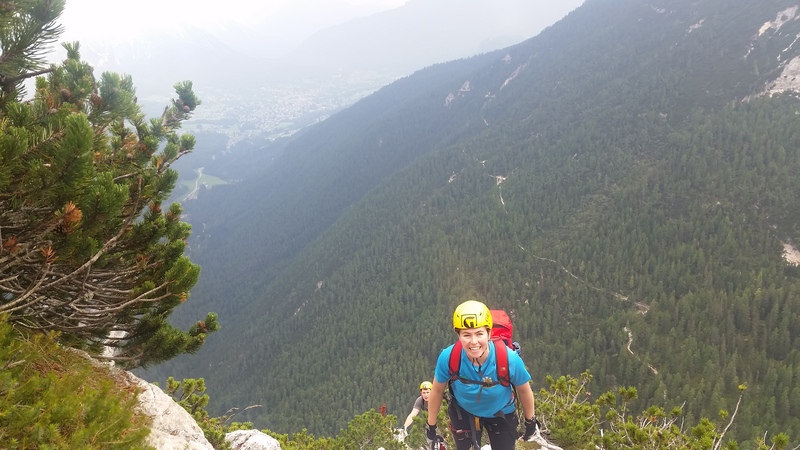 They are quite close but with their huge rock faces and high level trekking routes offer genuinely challenging training. So for these reasons Exeter UOTC mounted an expedition there. The idea was to take 32 Cadets for two weeks and stretch them with a demanding programme of activities. To do this requires putting together sufficient highly qualified instructors. 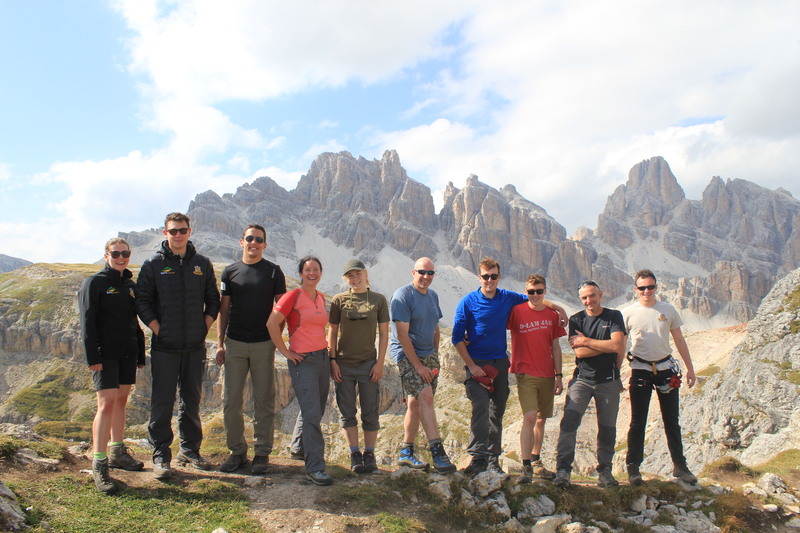 The UOTC managed to secure the services of 9 instructors, all well qualified and several with previous Dolomites experience. The party was completed with the addition of 2 chefs. Having chefs was very beneficial, having meals prepared makes for very efficient use of training time and having 32 Cadets det cooking would have been very hard to keep control of. 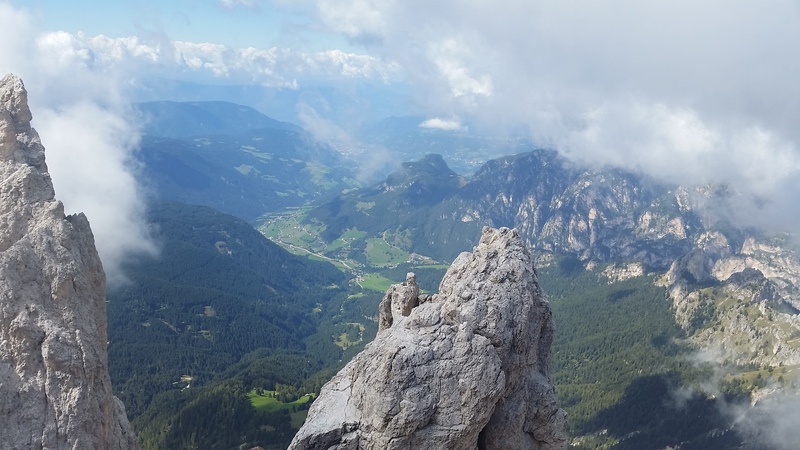 The advance party left Wyvern Barracks on the 26th of August and after an overnight stop in the Mosel arrived in Cortina late on the 27th of August. The following morning was spent setting up the camp ready for the arrival of the Cadets and then the Instructors in the Advance Party were free to start recceing routes. This two and a half days of recce time was invaluable. 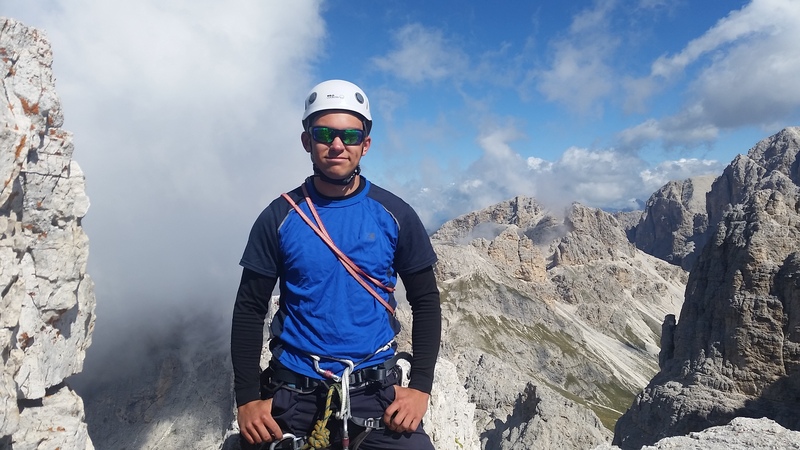 Even for experienced instructors the Dolomites can feel very “out there” so giving people chance to get orientated before they begin instructing allows the expedition to get off to a flying start. 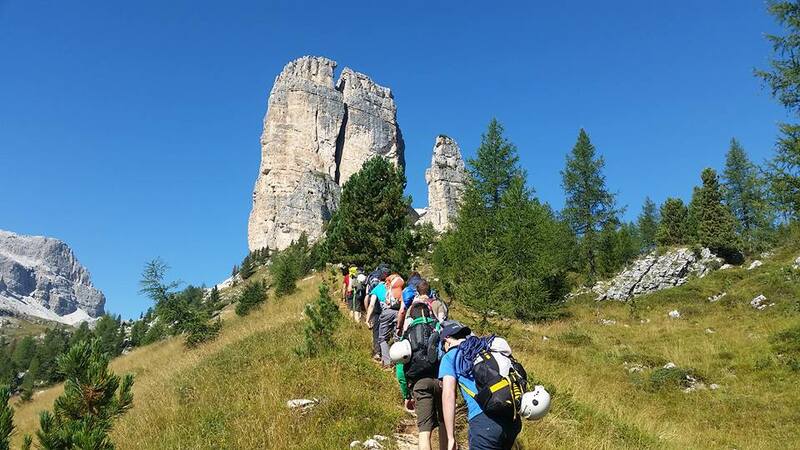 The main body arrived late on the 30th of August and the party was then complete in Cortina with 31 very excited Cadets keen to get going. The weather forecast was looking good so it was all systems go. 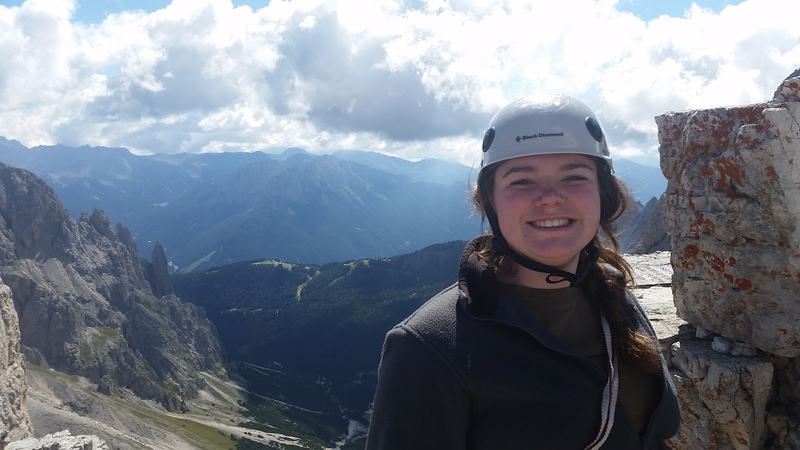 The Cadets were divided into two groups depending on the preference they expressed, either mountaineering or climbing. These two groups operated largely independently and so their activities will be described separately. 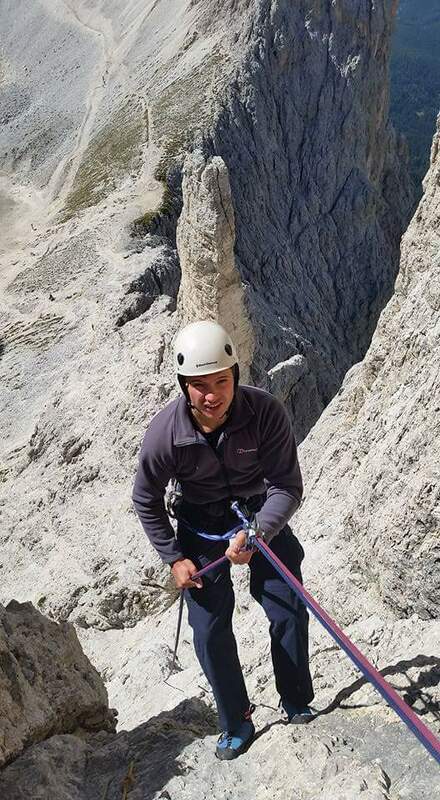 The mountaineering students were split into two groups and allocated an instructor that they would stay with for the two weeks. The first day was a shake out trek to make sure that students were carrying the correct equipment and to go through emergency drills etc. 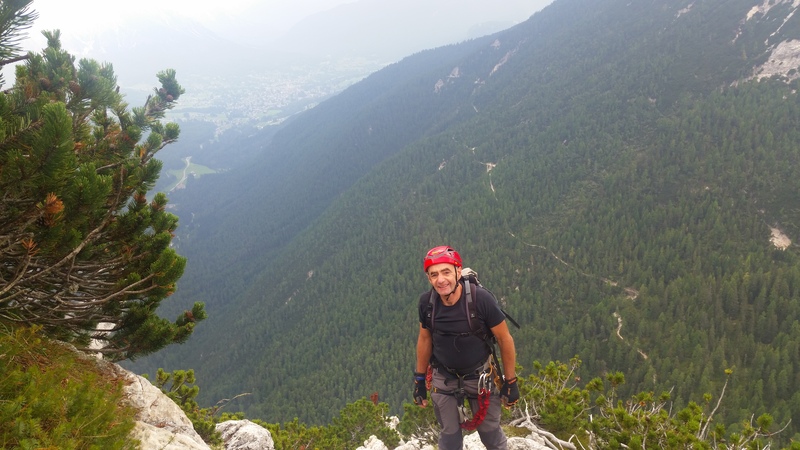 After this each group spent two days doing the technical aspects of the Summer Mountaineering Foundation course and the other two days doing Via Ferrata. 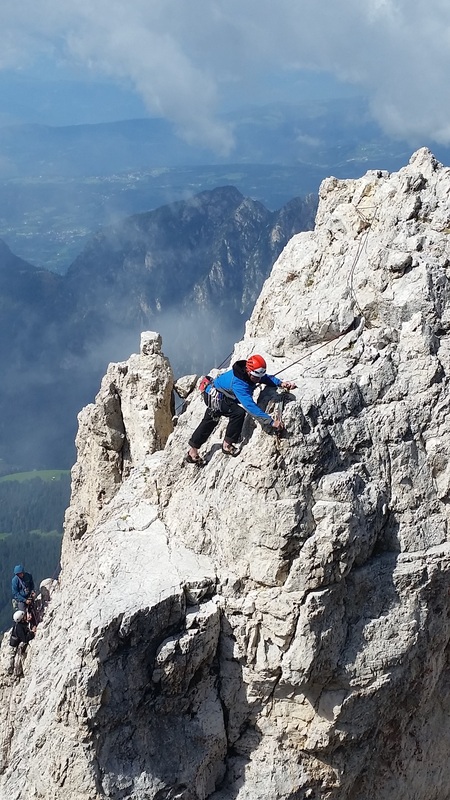 Via Ferrata allows non climbers to get into really exposed and exciting situations. Particularly for those with a fear of heights this added some real excitement to the week. 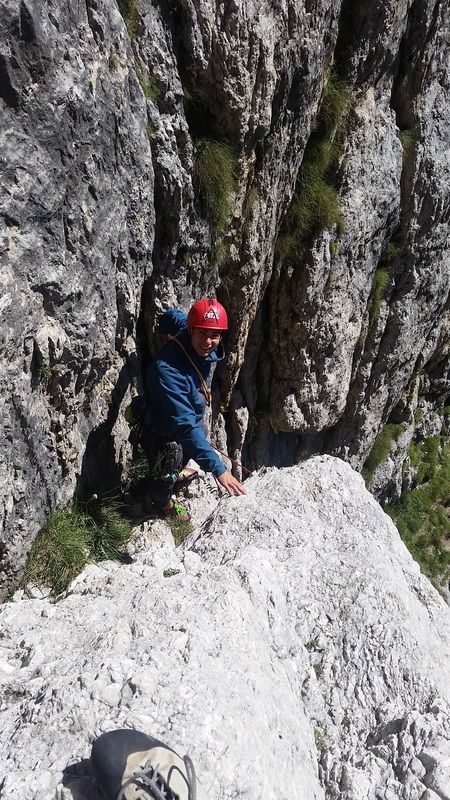 All students did two quality Via Ferrata routes. These are long and demanding days but were very popular with the Cadets. 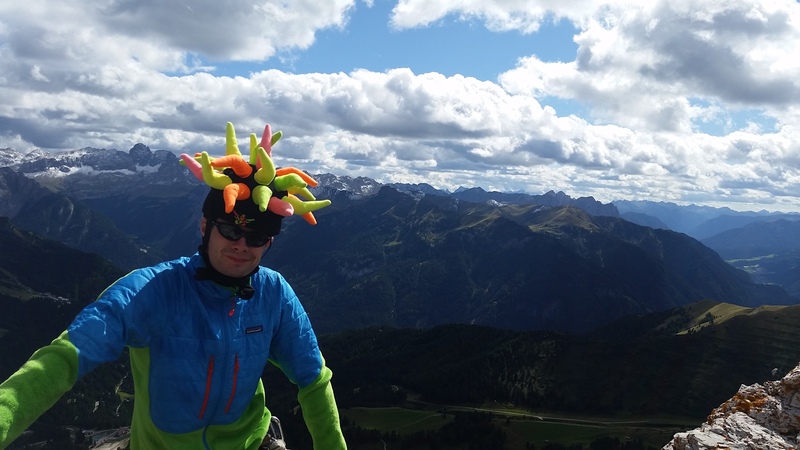 On the first day the climbers were split into two groups. 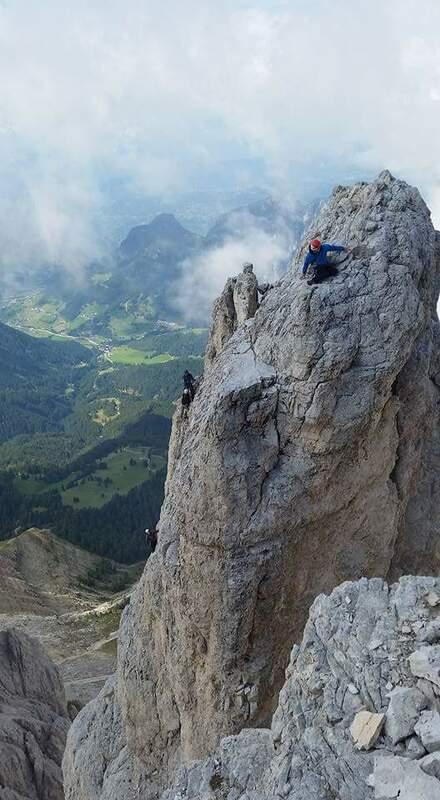 Those that had not climbed before went to a single pitch crag and covered the basics. 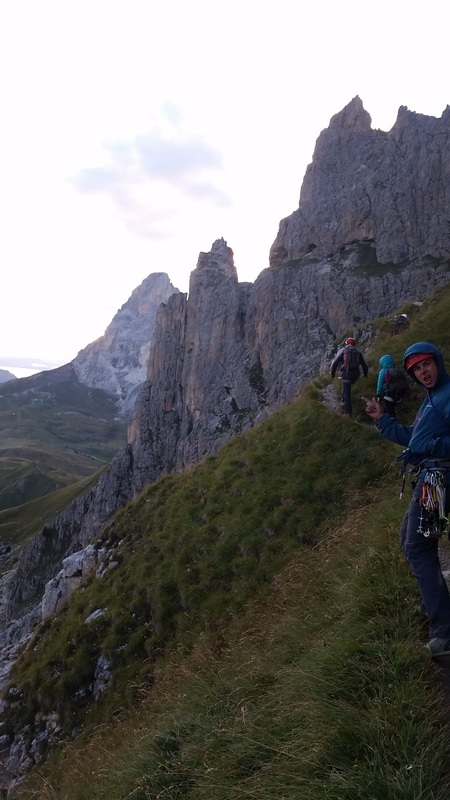 Those with some experience went to an area called Cinque Torre and revised their single and multi pitch climbing skills. 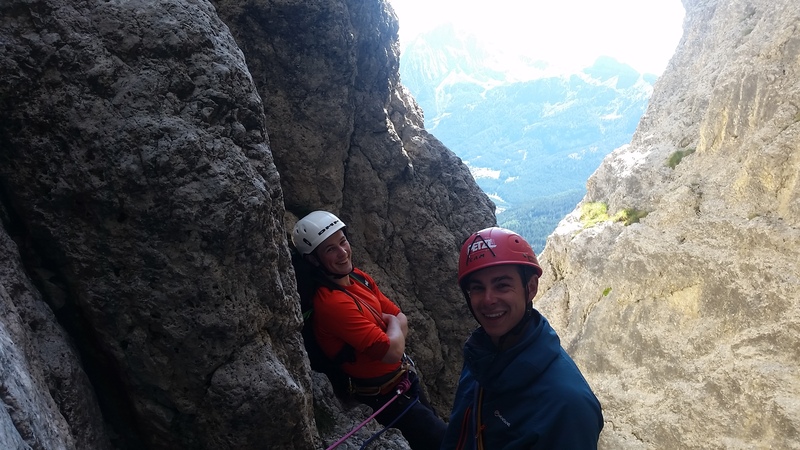 For the next four days two of the climbing instructors were attached to the mountaineers to run the Via Ferrata package. 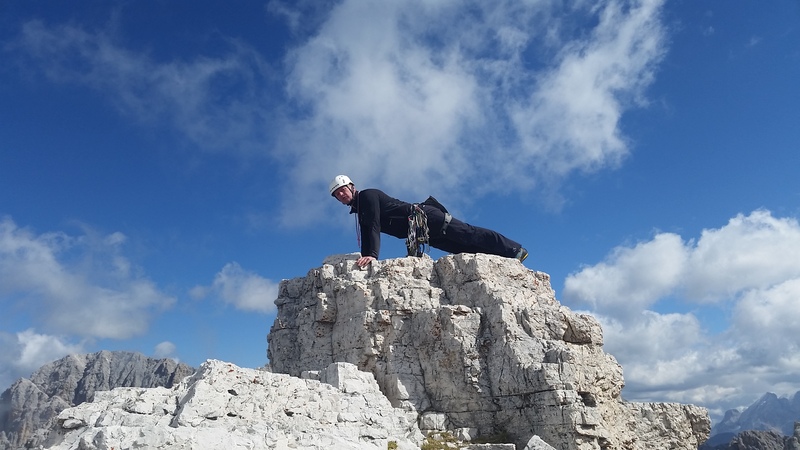 So for this period the climbers concentrated on getting all climbers up to the standard where they could safely climb on big mountain routes ready for week 2. This included all Cadets doing some multi pitch climbing, many of these climbs involved exciting free hanging fifty metre abseils. All members of the Expedition took the opportunity to visit the excellent First World War museum in the Falzarego pass. This gave a flavour of the unbelievably harsh conditions faced by the soldiers on both sides. This was going to be a training day but the weather forecast was terrible so to avoid losing training time the R&R day was brought forward. 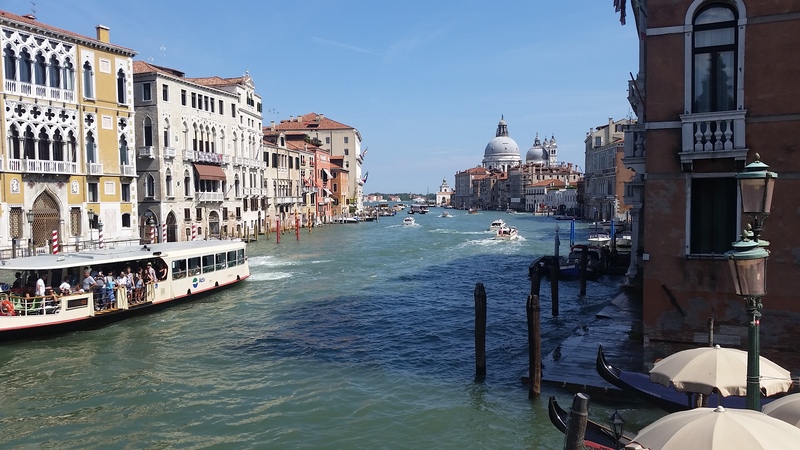 The Cadets had an excellent visit to Venice, a truly spectacular location, particularly as most Cadets had not been to Venice before. 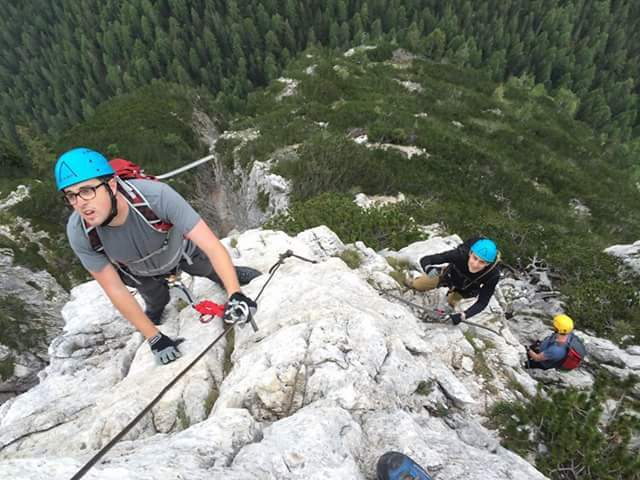 The instructors managed some climbing in the afternoon when the rain finally cleared. 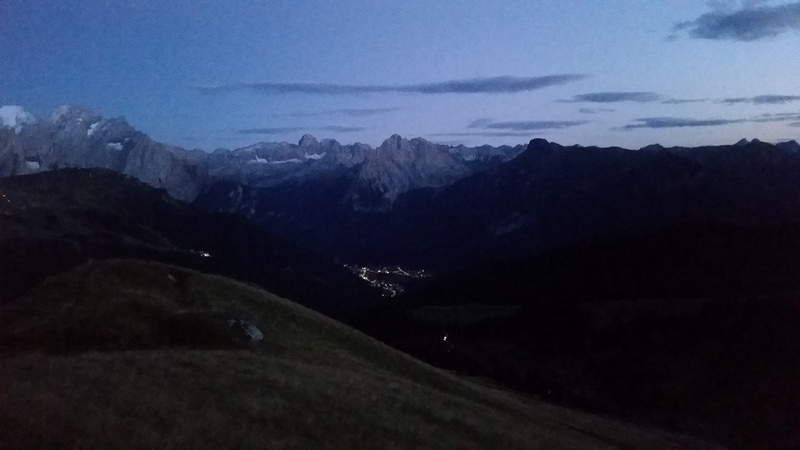 The poor weather continued but with an excellent forecast for week 2 this day was used to move campsites to Canazei. 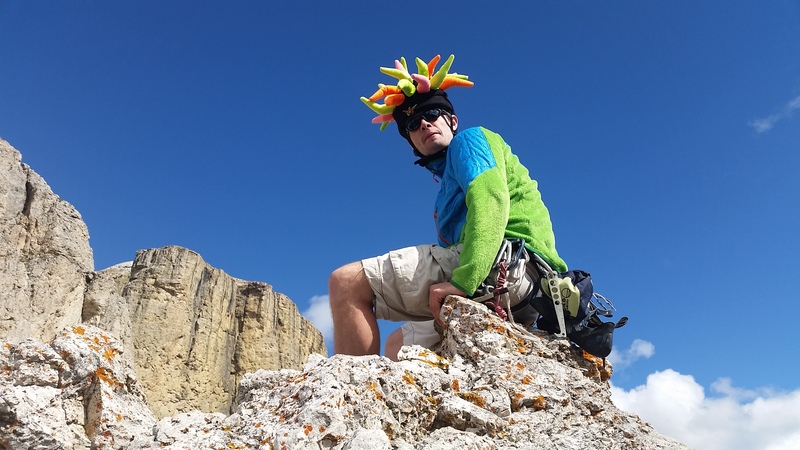 This gives access to a whole new area and particularly for the climbers gives access to a wide range of truly impressive routes. There was also a local festival taking place next to the campsite allowing the students to sample the local culture (and beer). 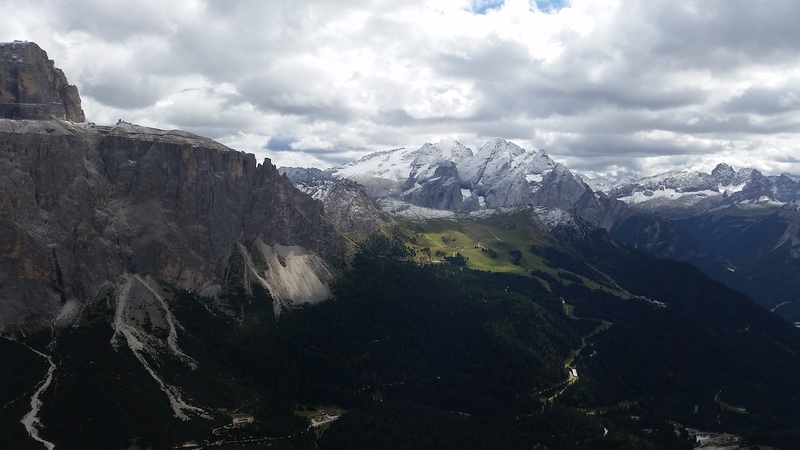 The focus of this week was for each group to do a three day trek round the Marmolada massive, staying 2 nights in mountain huts. The remaining time was spent doing day treks to deliver the remaining parts of the Syllabus. The three day trek was a real highlight taking in some spectacular scenery and staying in remote huts. 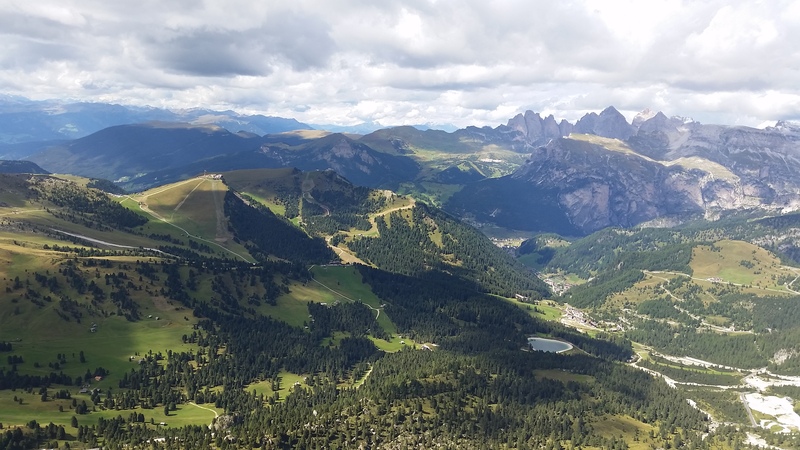 The mountaineers also took the chance to get the cable car to near the top of Marmolada and view the glacier on its north face. Having covered all the basics in week 1 and now having a full compliment of climbing instructors it was now time to go big. 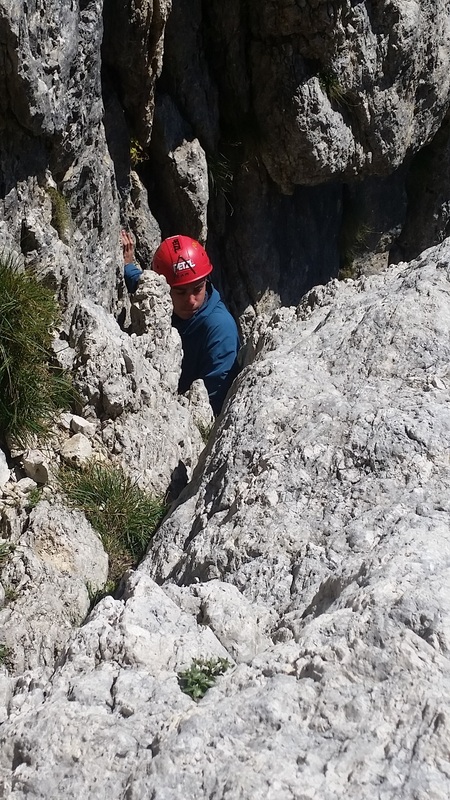 The focus this week was on getting all the students out climbing longer and more committing routes . 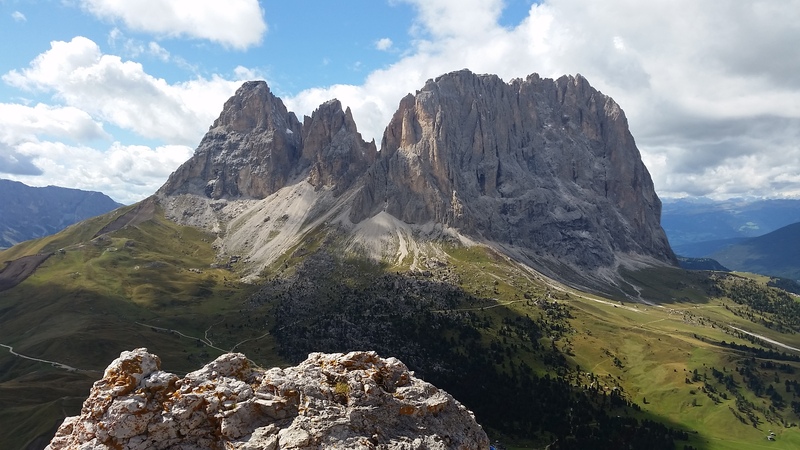 The Sella Towers are ideal for this with many long routes at a reasonable grade, combined with a real sense of history, many of the routes were first climbed by the greats of alpine mountaineering. 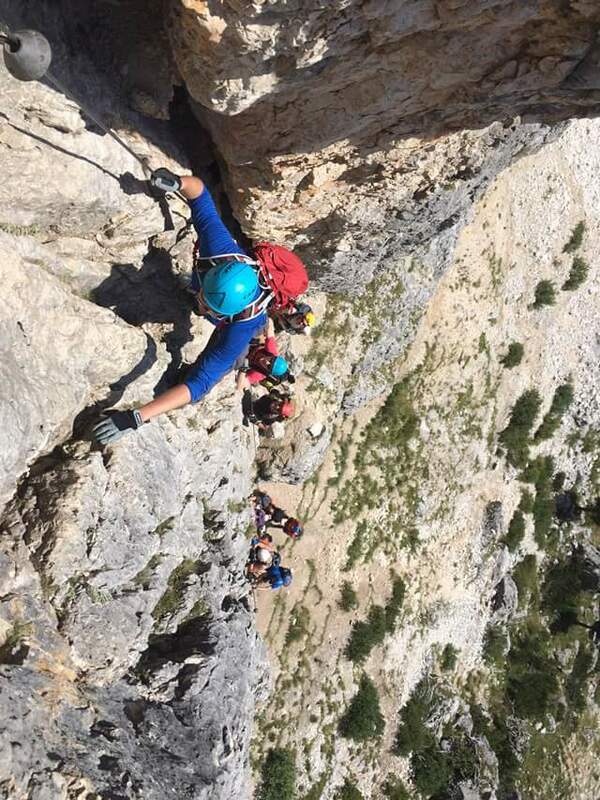 All students climbed a route of at least eight pitches. 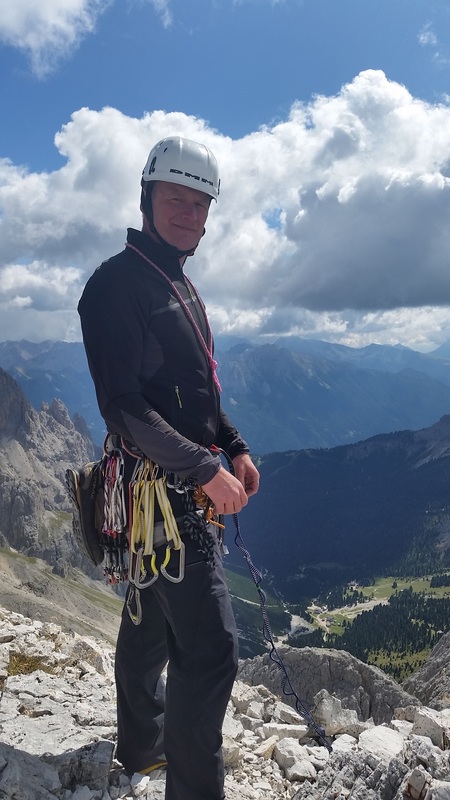 A real highlight of this week was a visit to the iconic Vajolet Towers (on most lists of the ten places to climb before you die). 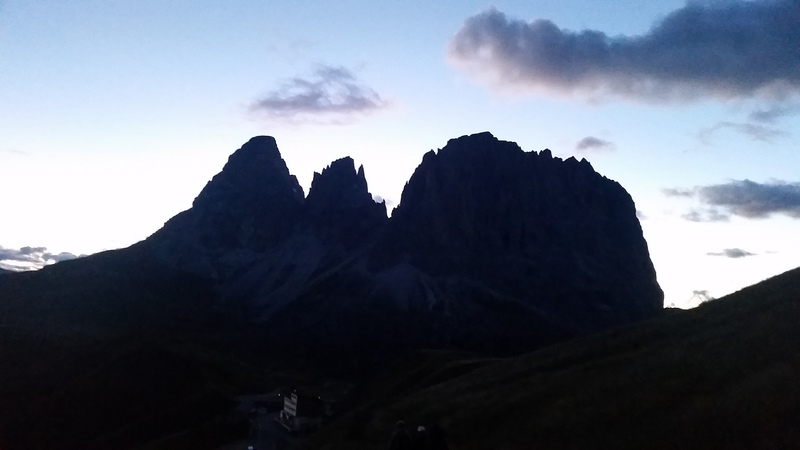 This involved staying a night in the Alberto Rifugio and then climbing the towers the next morning as the sun hits them. 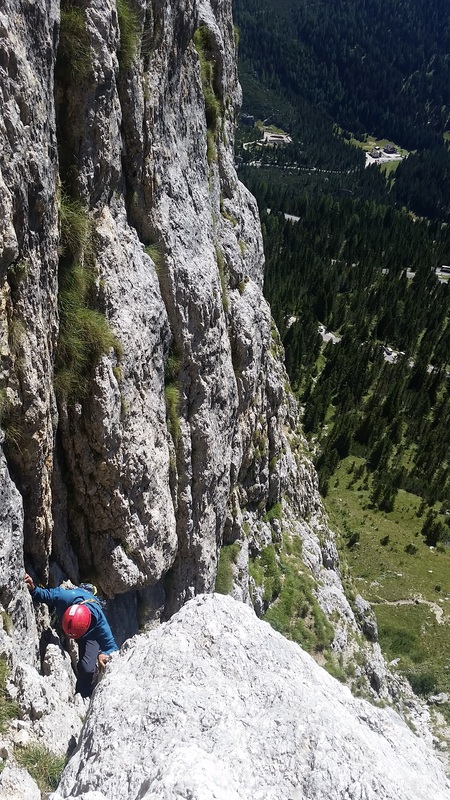 All the students climbed one of the towers and then after a few issues with ropes jamming on abseils it was a mad run down to get the last bus back into Val di Fassa. The journey back was the normal two long drives with an overnight stop in the Mosel. The overnight stop allowed everyone to have a final drink together and say goodbye’s. For a lot of the more senior Cadets this was their last event with the UOTC before leaving university, many going on to careers in the Armed Forces. This was a fitting send off and a thank you for the enormous amount they have put into the UOTC over the last three years. 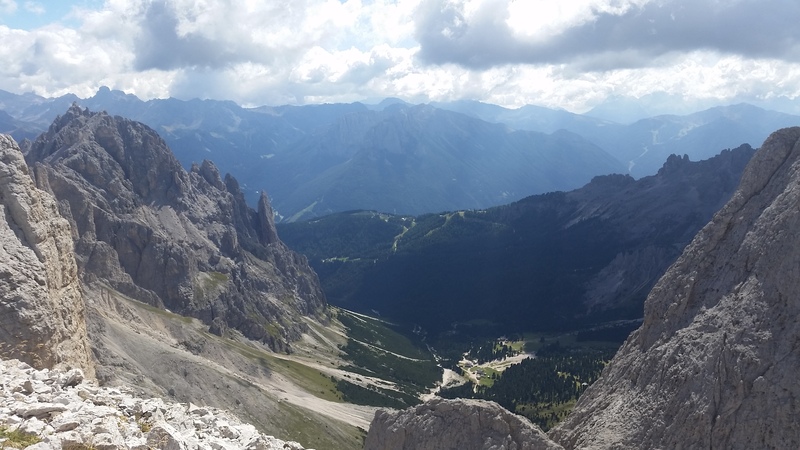 The plan is that Exeter UOTC will be back in the Dolomites next year, taking on the many challenges that it offers. I was on the climbing package. 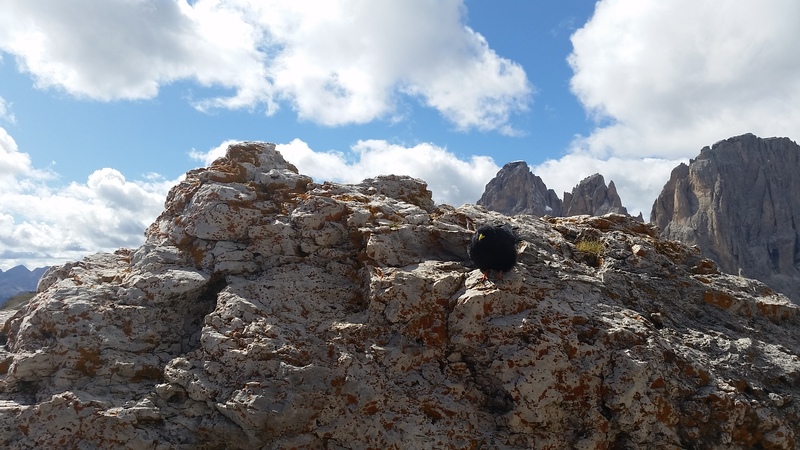 I had climbed a little before but only short climbs. 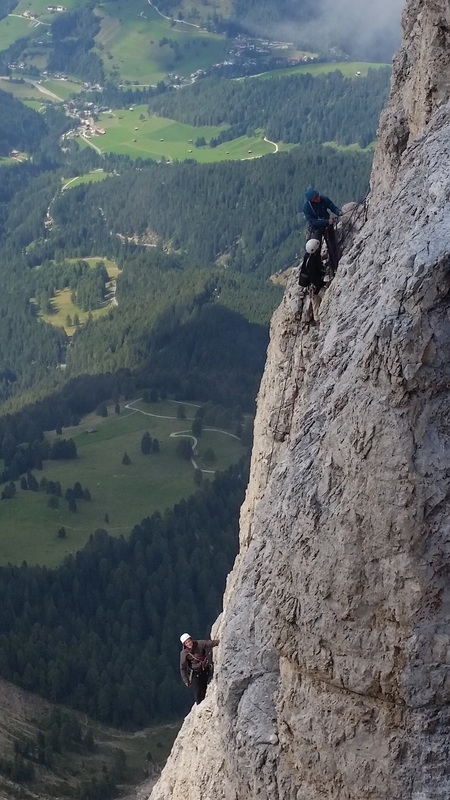 The time in the Dolomites allowed me to develop my climbing techniques and also gave me a much better understanding of safety and rope work. 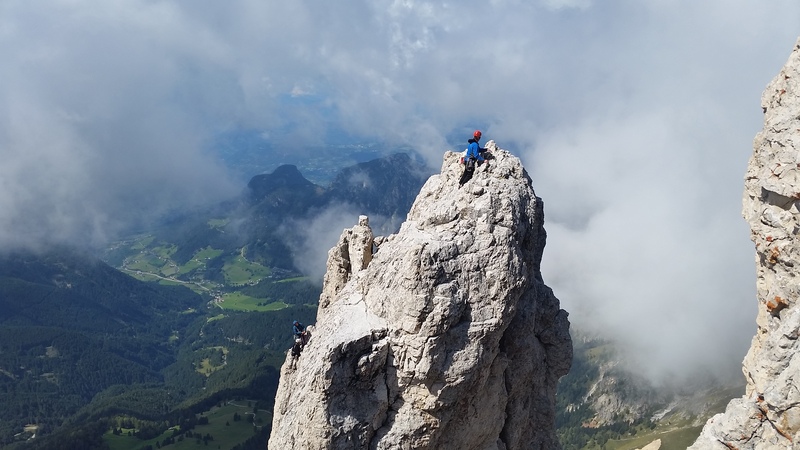 However the most impressive part was taking on the challenges of the big long routes, needing to remain calm and focused despite the incredible exposure. 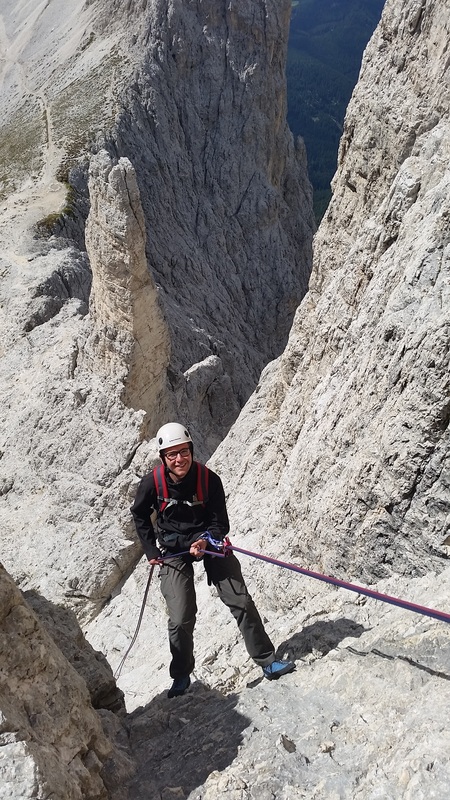 I was also able to progress my lead climbing and feel the additional pressures and rewards when compared to being top roped. 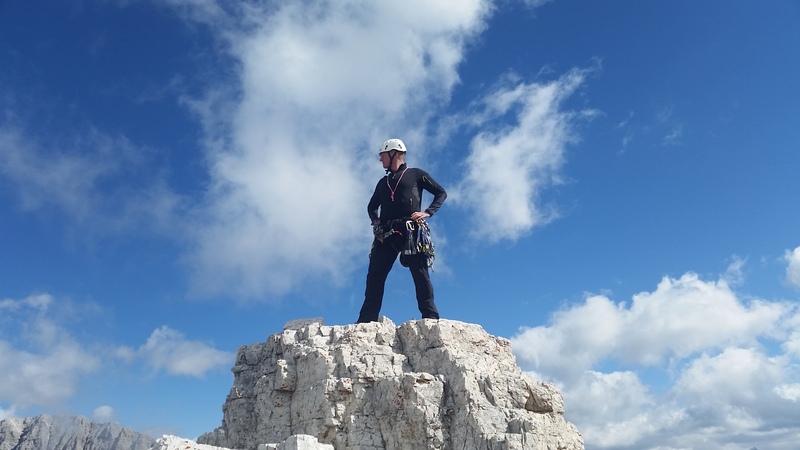 I will be starting the Regular Career Course at Sandhurst next year and definitely plan to keep progressing my climbing in the Regular Army.